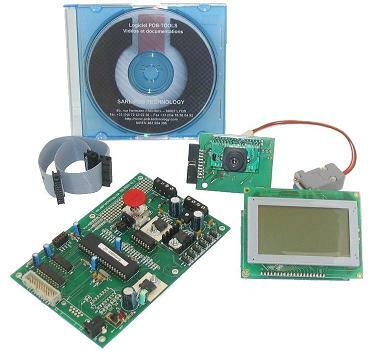 The POB-Pack 2 is a kit including an intelligent color camera and a graphical screen and a I/O management Board. Give a colored vision to your robot and a screen for interactivity. The Input/Output device brings many possibilities for driving numerical and analogical I/O.